Are you struggling to craft an effective B2B social media strategy? B2B social media marketing can be tricky and difficult to get right if you’re unfamiliar with the key tactics. We’ve outlined some key do’s and don’ts of social media marketing so you can engage with your audience more effectively and grow your awareness organically. If you can get social media right, you’re already on the way to increasing your ROI! Do incorporate images and media into your posts. People engage with visual content that is eye-catching and adds value to posts. Whether you’re posting on Facebook, Twitter or LinkedIn, add a video or image that illustrates your topic further. Adding imagery to social media posts also provides the opportunity get creative so you’re brand can convey it’s personality, whatever that may be. #Don’t #overuse #hashtags. Not only does it disrupt the flow of reading, but it won’t boost your post in any way. Hashtagging irrelevant words won’t increase your reach as people won’t be searching for that keyword. Only hashtag words that are of interest to your audience and that reflect your business, products or services. Do remember to include links to your website to increase traffic. If the post provides enough value for your audience, it is likely that they will then click through to your website, which means increased web visitors and conversions (providing your website is also up to scratch). If the post talks about a particular product or service, link it up to the relevant product page. That way, users will get straight to where they want to go, without the faff of navigation. If you think your website needs an update, give us a call and speak to a member of our team. Don’t post about irrelevant topics. These won’t be of any interest to your followers who follow you for your thought leadership content and information about your business. Use your initiative to work out what your audience is interested in or not. If you’re a cleaning company based in London, you’ll be attracting local clientele, thus there is room to post about local events and news. However, if you’re a software company in London, you’ll be selling your software to businesses all over the country, therefore London-based news will not be relevant to your audience. Do show brand personality. 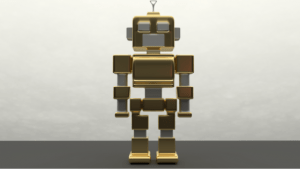 It is important that you remember that there are people looking at your content, not robots, so don’t act like a robot. Add an emoji here and there, use the odd exclamation mark, add subtle humour where appropriate and show enthusiasm! If a post is bland and repetitive, nobody is going to click ‘like’ or ‘share’. If you’re a new business and haven’t worked on your tone of voice yet, social media is a great place to start. All other marketing will follow suit. Don’t post too often. 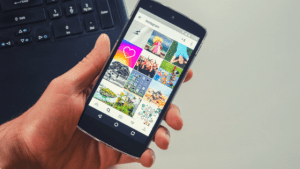 If you’re engagement is slipping a bit, it’s likely that your audience are seeing your posts pop up too often, decreasing value. Some businesses post on an hourly basis, which is highly ineffective. The chances of you posting new and engaging content with every post is very slim if you were to post that often, resulting in low engagement. For some businesses, one post per week is effective. For others, 3 posts per week is the optimum level. Find what works for you and keep track of your analytics in the process. Do engage with your audience. Start conversations with your followers, respond to content of the accounts you follow and do a poll or Q&A on Facebook. Even a short comment on an article or photograph humanises your brand. It also makes a change from just sending out posts, showing your audience that you’re putting time and effort into getting to know them, which improves your relationship. Don’t forget to include a call to action in your posts. If you’ve engaged your audience and provided value, you need to provide them with an action to carry out otherwise you won’t increase conversions. Directing them to your website or encouraging them to give you a call to enquire is a good place to start. Do put time into social media. This one is pretty straight forward – if you put time and effort in, you’ll get a lot out. If you send out one post per quarter and don’t update the pages, those all-important reach figures will remain low. Make sure your social media pages reflect the branding and information on your website, and post content regularly for the most benefit. Don’t do anything for the sake of it. Why? Your audience will detect that you’re churning out content for the sake of it and they will unfollow you. Make sure every post has a purpose, a message, and a desired action. Think about what you want your post to acheive and what you want your audience to do as a result of seeing that post. If you need help with your social media strategy and management, contact socialmedia@function28.co.uk and we would love to help!